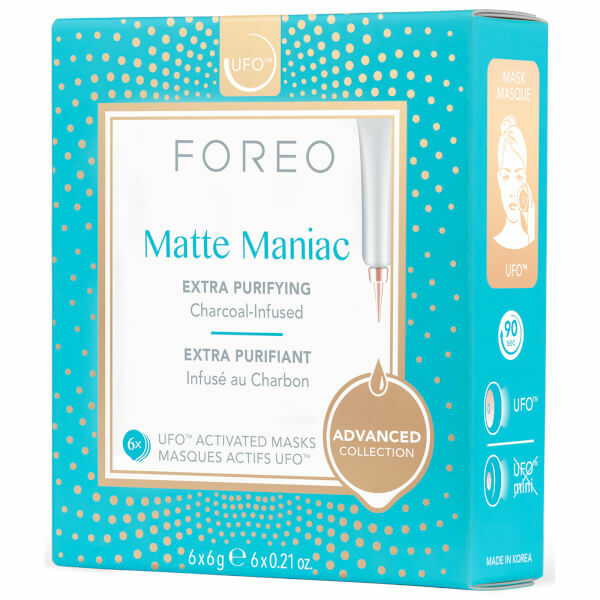 Transform the look of your skin with the FOREO UFO Matte Maniac Mask, a Korean-inspired face mask specially formulated to be used in conjunction with your UFO smart mask treatment device. For maximum efficacy, the oil-free face mask has been developed and formulated by top Korean skincare experts. Made from plush microfibre that glides across skin, the specialised sheet mask is infused with a highly concentrated blend of active ingredients that absorb into skin to help draw out impurities and support skin's natural oil balance. The purifying face mask is infused with Charcoal to draw out dirt, excess sebum and impurities, while Snow Lotus and Witch Hazel extract work to soothe skin and minimise the appearance of pores for a healthy, refined-looking complexion. Combine with UFO’s Cryo-Therapy and blue LED light for a 90-second facial treatment to minimise the look of pores and imperfections. 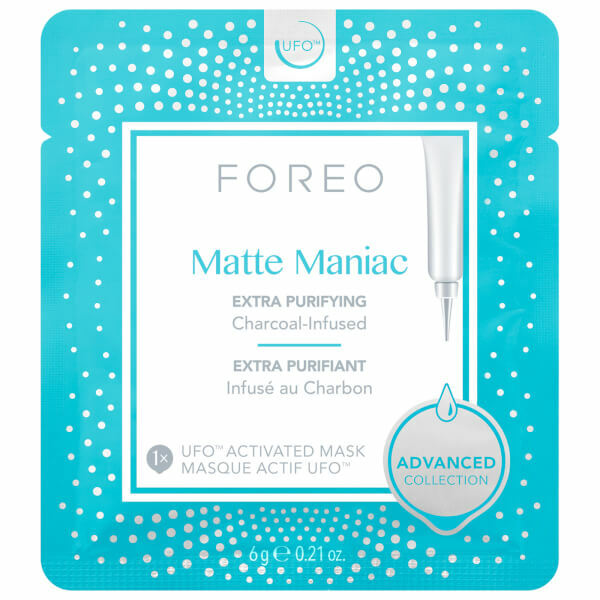 The UFO device and its activated masks are a very dynamic duo that boost the health of my skin and freshen it up instantly. 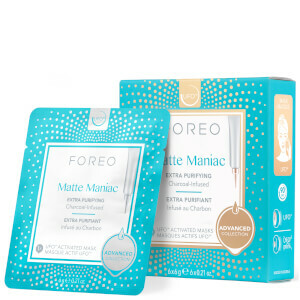 This mask does wonders for my oily skin, especially for the ever problematic t-zone. It's the one that's worked for me the most, but that's not to say the other masks aren't great as well. Major recommendation!